When your child's life is on the line many things can become irrelevant including your own life. Padma who has heart disease refuses to take treatment because her priority is to save her son from cancer. The joy she felt when Pavan was born was short lived. Now grief has become the endless landscape of the rest of her life. Her grief can never go away without saving her son. 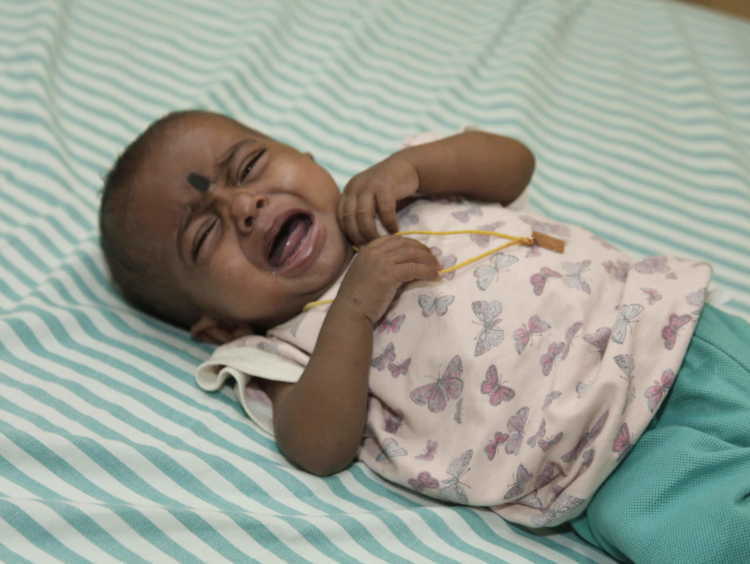 When Pavan was 7-months-old, he developed breathing trouble. Padma had no idea that this was the beginning of a terrible sickness. To her horror, he was diagnosed with Juvenile myelomonocytic leukaemia (JMML), a blood cancer found in children below 2 years. It causes excessive bleeding, bruising, breathlessness and turns fatal without treatment. There is nothing in life that prepares a mother for the words, "Your son has cancer". She felt like the whole world had collapsed on her. She barely heard any of the other words that doctor said. It took Padma some time, but she is now used to that frightening tone of doctors that signals the worst. 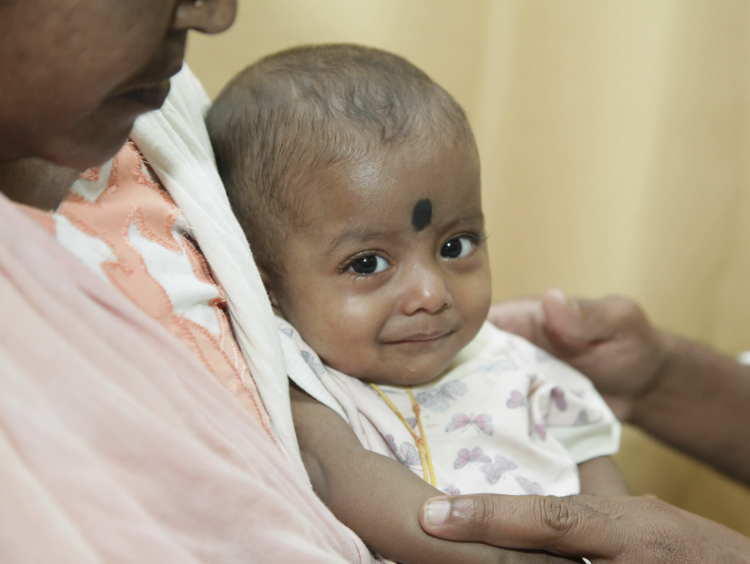 Shortly after Pavan's birth, she was diagnosed with heart disease. Even then she did not feel as weak and helpless as when she heard about her son's condition. "How can I even think about spending money for me when my baby is sick? I'm saving every single paisa for him. I wish to live to see him growing healthy and happy but it is more important that he lives. He has not seen the world, he deserves a life. "- Padma. Pavan has started the painful chemotherapy and it has taken away the brightness in his eyes and his happy, baby smile. He cries in pain. This 10-month-old cannot even express his pain. He is scared of injections, people and everything around him. Padma cannot do much because of heart disease. She has breathing trouble too and she becomes very tired. Yet, she is determined to do all that is within her power to save her baby. She has two more children to take care of Shreyas(12), Sagar (6). She is aware of her the complications of her condition but she wishes to do all that she could to save her son. She feels guilty to even buy her own medicines when her son is battling for his life. "His sadness mirrors my sadness. I cannot bear him to see my baby crying like this, not knowing what is happening. He holds me firmly and never let me move away from him. He trusts me, I cannot believe that fate can be cruel to a sweet, innocent baby." - Padma. Pavan's father Lokesh works in a petrol bunk but it has been 3 months since he went to work. Pavan's health is highly unpredictable. He seems to be fine after chemotherapy but suddenly he falls sick and can't breathe and needs to be rushed to the hospital. He cannot afford to leave his wife and children alone even for few hours. He is concerned about Padma's health too. "My wife and the my son, the two most important people in my life, who depends and trust me for everything are battling for their lives. I don't have enough money to save either. My wife refuses to take treatment for herself. I do not have money even to take tests for my son. I borrow money every time for his chemotherapy and medicines". - Lokesh. 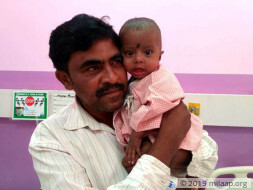 Bone-marrow transplant is the best solution to save baby Pavan, but the family does not have the money even to do the tests to see the best matching donors among his siblings. They are neck-deep in debts. They are begging everyone they knew for even feeding their children. Padma has put her life on danger to save her son yet she is unable to save him. Little Pavan is going through a lot of pain. He needs to continue chemotherapy and a bone marrow transplant to survive. He is already running out of time. They do not have singe rupee left and have absolutely no source of income. Your support can save their son's life. Your contribution can give Pavan a chance to live his life! Thank you for the wonderful support that you have shown towards Baby Pavan. We have some unfortunate news to share with you today. Baby Pavan passed away on 18th April. He was doing well but his vitals started dropping and he was shifted to the PICU from the ward. In spite of the doctors best efforts, he could not be saved. This touch kid tried really hard but unfortunately, his body could not take the stress. Your timely support ensured that he received the best treatment and care possible. 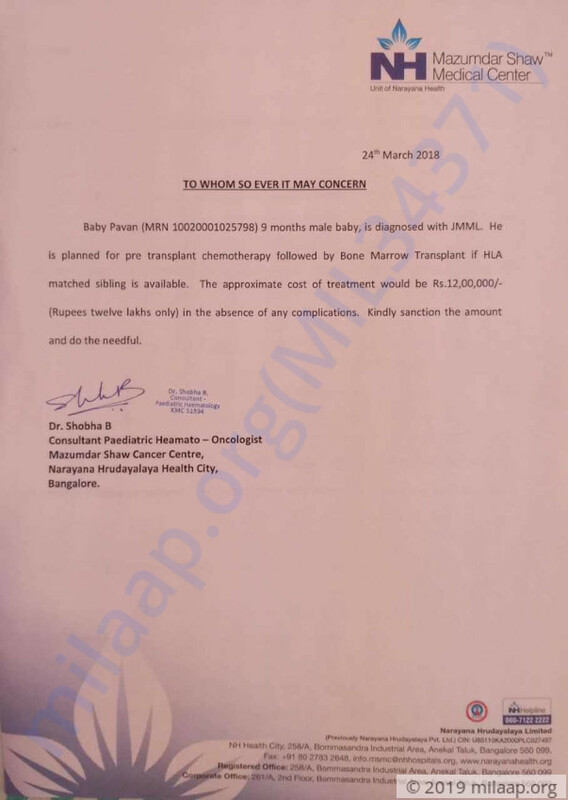 The funds raised via this campaign have been utilized towards his treatment. Please do pray for his soul to rest in peace. God bless both mother and child.